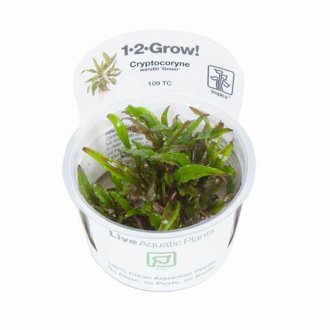 Cryptocoryne wendtii ‘Green' is suitable for small aquariums with a height from 10-15 cm and a roset from 8-15 cm wide. When grown in an open space the leaves will virtually lie on the bottom. Like most other Sri Lanka Cryptocorynes, it also grows well in hard water.